When Buena Vista Street opens at Disney California Adventure park next year, guests will be transported back in time to Los Angeles of the 1920s and ‘30s. This trip to the past would not be complete without one of the most beloved symbols of Los Angeles history, the Pacific Electric Red Cars. 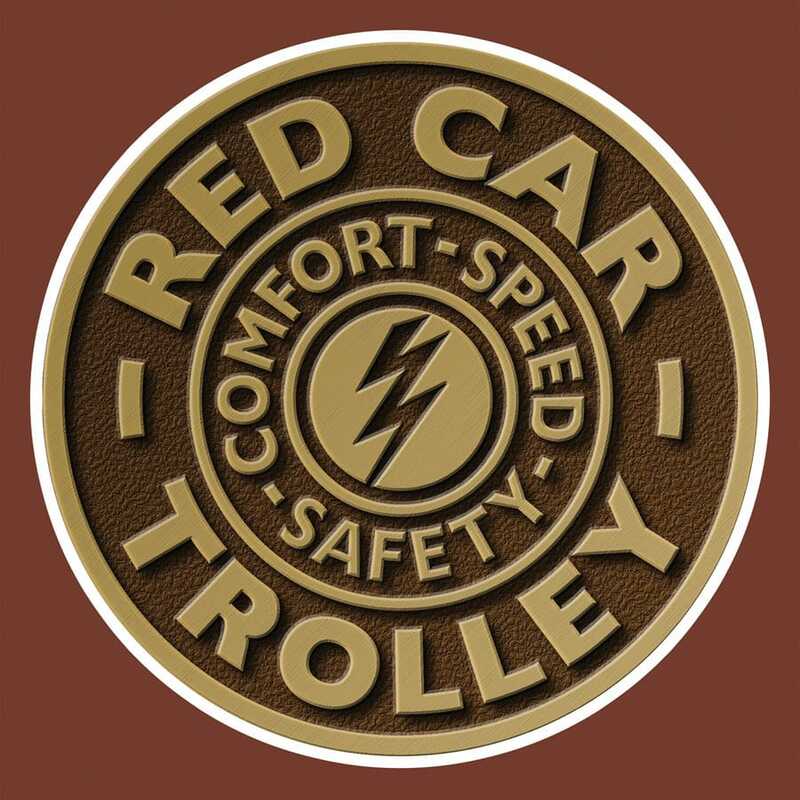 The Red Car Trolley, making its debut along with the rest of Buena Vista Street, will be inspired by this landmark transportation system. 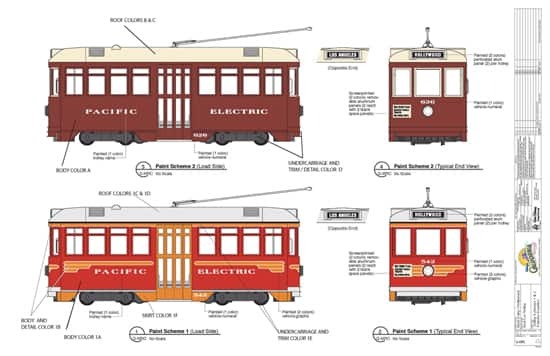 At its peak in the mid-1920s, the Pacific Electric Railway was the largest electric railway in the world, connecting Los Angeles and the surrounding Orange, San Bernardino, Ventura and Riverside counties. Established in 1901, the Pacific Electric Railway carried passengers throughout the Southern California area for the next 60 years. 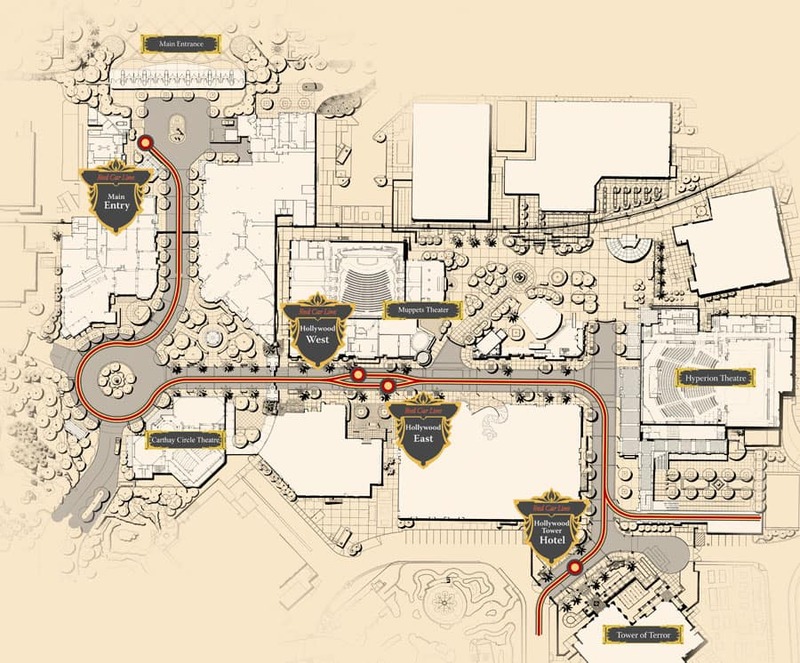 As you can see in the map above, the Red Car Trolley will carry guests from Buena Vista Street to the Twilight Zone Tower of Terror and back with “Comfort – Speed – Safety” – not to mention style. 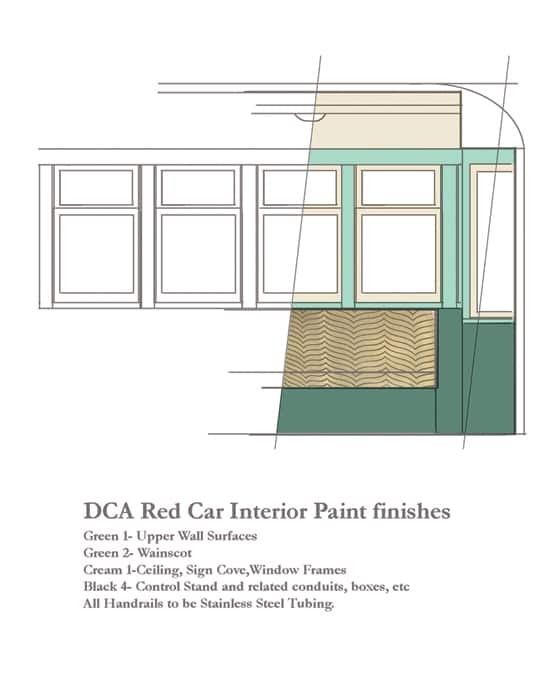 Exterior paint schemes like those detailed above will reflect the various Red Cars that appeared during different periods in the Pacific Electric Railway’s history, while the interior design (seen in the rendering below) employs some of the very design elements featured in the original cars. For more on the Red Car Trolley and Buena Vista Street, be sure to visit Blue Sky Cellar at Disney California Adventure park – and keep an eye on the Disney Parks Blog for updates and looks behind the scenes. If the horse-drawn street cars are still operating at Disneyland on Main Street, then I see no reason why there would be any problem keeping the red cars operating at California Adventure. Will there be anything Roger Rabbit related with the red trolly cars since they were in the film “Who Framed Roger Rabbit”? Very nice. Let’s just hope the Red Car Trolley doesn’t end up like the Jolly Trolley in Mickey’s Toontown. Does anybody see a conflict here with people on walking on the street? Is this going to go the same route as the Toon Town trolley? That is to say, will the cars for the Red Car Trolley become a static display? I live in the east and I normally prefer the Orlando parks, but the changes at Disneys California Adventure really intrest me. I love the 20s and 30s design aesthetic. 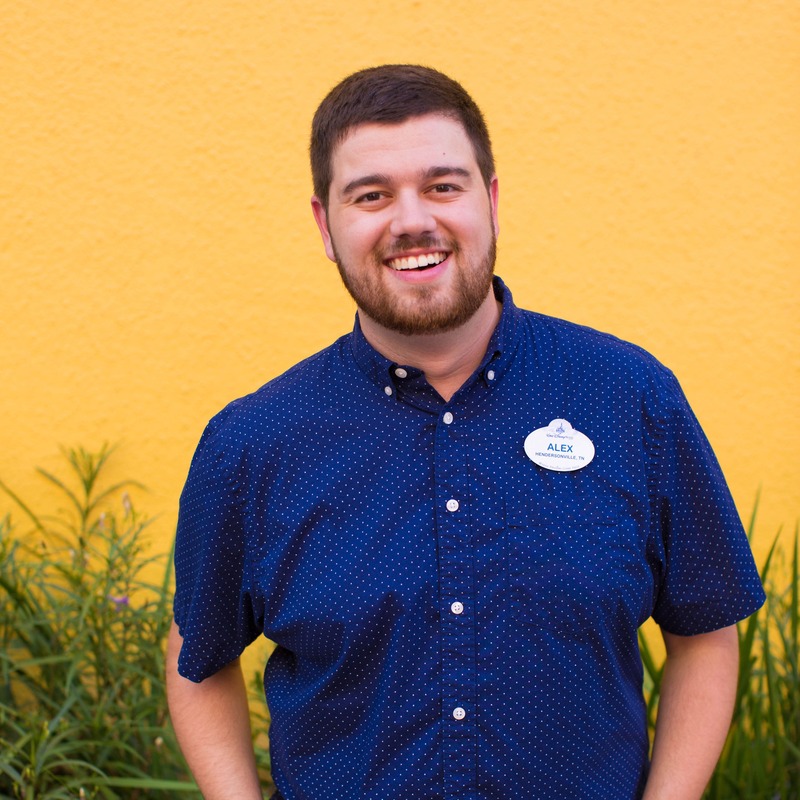 The trolley, Buena Vista St. and World of Color are all great ideas that are very appealing to me. 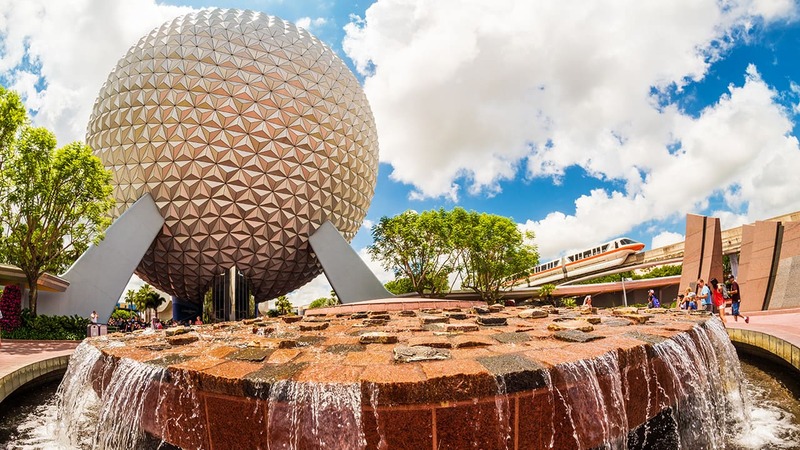 In my opinion, all of these attractions would work great at Hollywood Studios, but I may have to make the trip to Anaheim when everything is ready. This looks great! Are there any plans for transportation to other areas of DCA? There is a nice little Red Car museum in downtown Seal Beach. It is in a old “Utility” Red Car trolley. Hours 2nd & 4th Saturday each month 1 PM – 4 PM. Worth a visit if you are in that area on one of those days. My kids are going to love this. Thanks for all the details you guys have been sending. #8 – 10-25-11 at 3:05 AM – What measures have been taken to make the new Red Cars handicap-accessible? 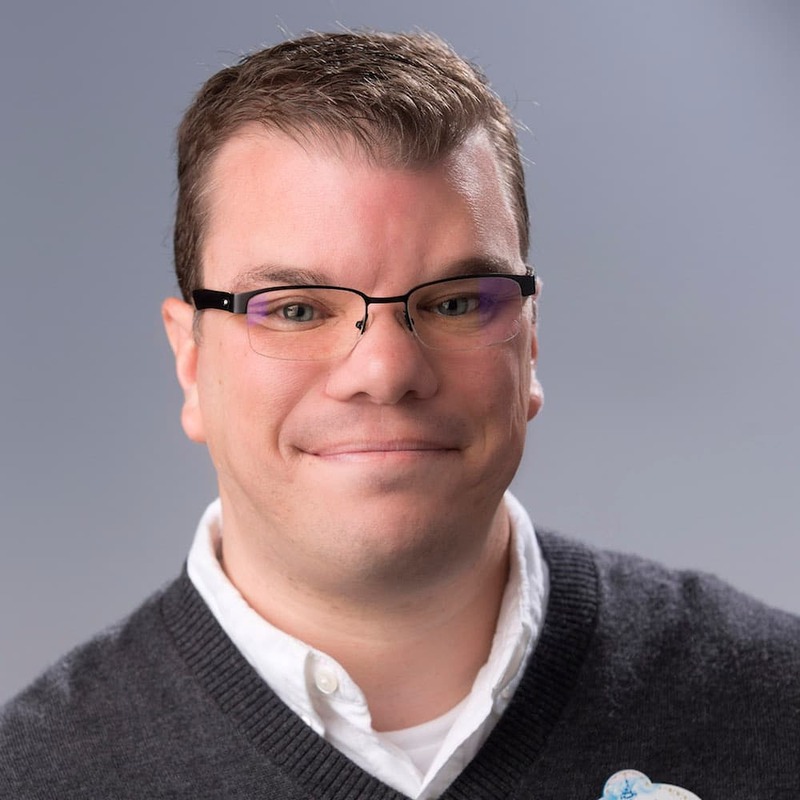 That’s the hardest part about trying to get around DL easily – I can’t take the train, since I can’t climb stairs and I have to use a wheelchair. I would hope that DCA will have someway for me to access the cars when they’re ready for guests to use!! Hope they run longer than the Toon Town Trolley’s did. What a wonderful news!! !that means will have to renew my annual passport in jan 2012..my family would love this!!! Can’t. I’m gonna use that picture of the skyview of Hollywoodland for refferences. Thank you for the transportation. Disneyland has many ways to get from land to land, but this was an area the DCA was lacking. Thanks for filling this need. I hope they are well equiped for strollers and wheelchairs. This is way cool! I can’t wait to see this. This whole overhaul of California Adventure is wonderful and you couldn’t have picked a better thing to model. Red Cars still operate at the Orange Empire railroad museum in Perris, Ca. But will these be wheelchair accessible? Hello Antonio – Yes, the Red Car Trolley will be wheelchair accessible. Could somebody please tell me when this is going to open next year? My dad is dying of liver cancer and I would love to take him and my mom one more time for them. Those looks awesome! So exciting; I can’t wait to ride them! One thing DCA desperately needs is more transportation. It’s quite a long hike from the entrance gate to very back of the park. My family and I have been hoping for some round-the-park/front-to-back transportation, like Disneyland has the train that circle the berm. I’ve been hoping to see plans for something like that in all the new construction, but haven’t yet. Do you know if there are any plans to add that kind of transportation to DCA? Yeah! I’m so excited! Thank you so much for posting this Erin! So excited to finally have a people mover in DCA. That has been the only complaint that I have had since we started going in 2005, was it is quite a large area to have to cover by foot, especially when you are tired. Now, are they going to plan any other people mover type rides to cover the other half of the park? YAY! Looks good! I can’t wait! Is there an opening date yet? Thank you for sharing this Erin! I’ve really been curious about this project since I’m a nut for trains haha. This is one of the projects on top of my list to see when finished. Cheers, and thanks again for sharing!